A look at some of the highlights from this past weekend to whet your appetite ahead of further in-depth magazine coverage available in the next edition of Athletics Weekly, out on Thursday. Two-time European cross-country champion Fionnuala McCormack easily won the women’s race in Dublin’s Phoenix Park, clocking 33:30 from Deirdre Byrne with 34:41 and Maria McCambridge with 34:52 for an all-Irish podium. 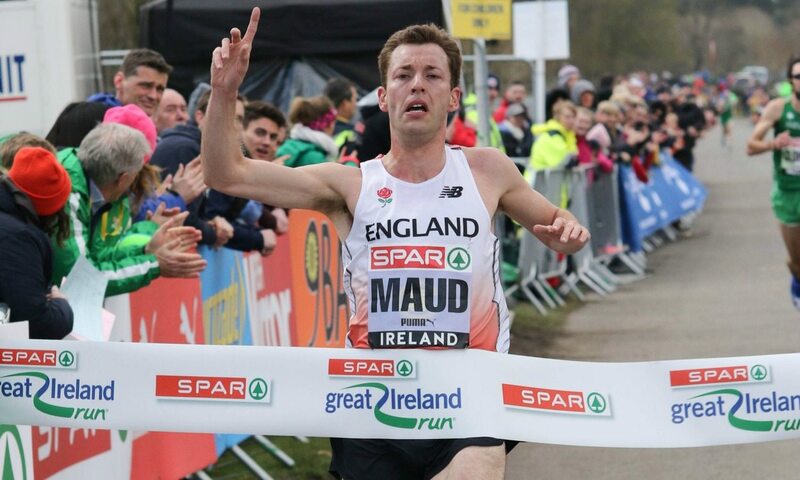 Running for England, Highgate Harrier Andy Maud won the men’s race narrowly in a time of 29:55, pipping Ireland’s Mick Clohisey and Kevin Maunsell with times of 30:00 and 30:23 respectively. Almost 8000 runners took part in the event and battled the windy conditions in the Irish capital. The mile event was won by John Travers in 4:11 from Britain’s John Ashcroft. A report and photographs will appear in this week’s AW magazine. Making his marathon debut, Steven Bayton of Hallamshire won in 2:22:34 from Kevin Rojas with 2:23:03 and Nathan Kilcourse with 2:25:08. Stockport veteran Kelly Crickmore won the women’s race in 2:48:04 ahead of Sam Amend’s 2:52:07 and Anne Holyland’s 2:52:52. There will be a full report from Trevor Baxter and photographs from Harry Shakeshaft in this week’s magazine. Serpentine’s John Franklin won the men’s race in 70:24. Zanthe Wray was the first woman home in 83:12. Photographs of the event will appear in this week’s magazine. Rosie Smith took two minutes off the women’s record in this multi-terrain event. She finished seventh overall in 34:50. Andy Burn won the men’s race in 32:49. Brighton Phoenix won the men’s race while Brighton and Hove won the women’s event. Martin Duff’s report will appear in this week’s magazine. This event, which was first held in 1976, was dominated by Kent AC who won both men’s and women’s team events and provided the individual winner through Amy Clements. Clements, who is hopeful of a sub-2:40 at the Virgin Money London Marathon, won the three mile race in 16:46. Sweden’s Perseus Karlström won the men’s 20km event in 79:11, while Mexico’s Alejandra Ortega won the women’s event in 89:35. Britain’s Callum Wilkinson won the junior men’s 10km in 41:33, leading the GB team also including Cameron Corbishley and Guy Thomas to victory in the international match. Taika Nummi of Finland won the junior women’s 10km in 45:49. Britain’s Emma Achurch was fourth in 47:49. Double 2008 Olympic sprint medallist Walter Dix had a 10.03w/20.25 sprint double. Laura Samuel made a winning return after injury, triple jumping 13.71m. Britain’s Matti Mortimore threw a javelin PB of 75.79m for a mark that is more than two metres further than the British best from 2015.